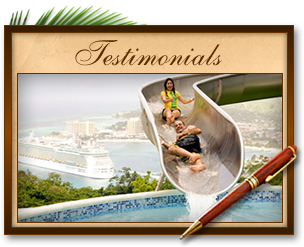 We invite you to discover the wonder of Jamaica's playground! 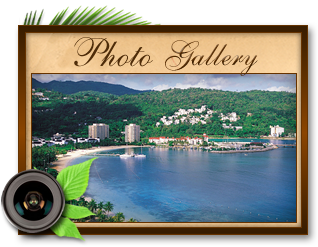 Ocho Rios is located on the north coast halfway between Montego Bay and Port Antonio and is the largest cruise ship destination on the island. 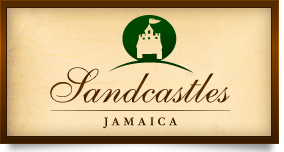 The town is ideally located for visiting most of the top attractions in the entire Caribbean. 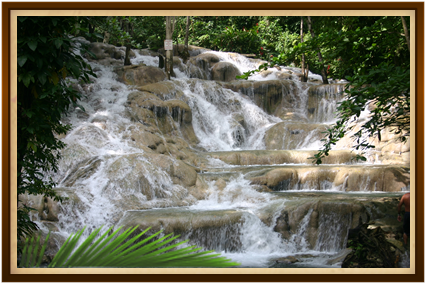 Visitors from all over the island come to climb the famous Dunn's River Falls (a visit to Jamaica is not complete without visiting the Falls). Trained guides lead a human chain up tiered rocks, assuring safety and a fun-filled experience. Jamaican locals say this is where heaven spills into the sea. The Falls are within minutes of the resort. Stunning natural beauty combined with an unmatched array of activities, historic sites, dining, shopping, gambling, and nightlife make Ocho Rios a slice of paradise. It is home to white sand beaches, cliffs jutting into a sparkling aquamarine sea and lush tropical foliage at every turn. 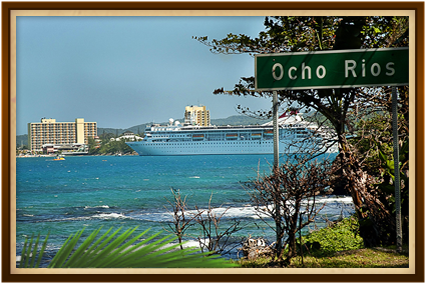 It is no wonder that Ocho Rios is in the parish of St. Ann (Jamaica's Garden Parish). 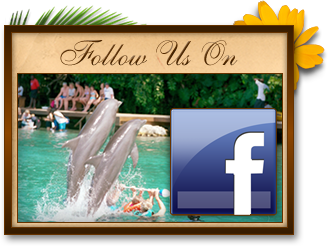 Other local attractions include Dolphin Cove, a great place to take your family if you want to swim with bottlenose dolphins and witness sharks, turtles and other sea animals in their natural environment. World class golf is available in Ocho Rios along with river tubing, kayaking, biking, horseback riding, hiking and picnicking. Watersports include glass bottom boats, parasailing, jet skis, wave runners, snorkelling, scuba diving, sunset cruises & water skiing. There is no where else in Jamaica where there is such a rich profusion of hibiscus and poinsetta. For a unique experience, you can drive for over 3 miles through Fern Gully, a green canyon with sheer walls carved thousands of years ago by a rushing river (the home to over 500 varieties of ferns - the largest fern gathering in the world). Some of the most acclaimed restaurants in Jamaica are in Ocho Rios and include everything from hillside views, waterfall dining or starlight candles right on the beach! Once you feel the heartbeat of the island, the town, and the people, you will realize what the Jamaican rhythm is all about. Only then you will truly understand the country's motto, "Out of Many, One People".